It’s that time of the year again when we get to show our appreciation to those we care about, and those whose services we are grateful for. While going out to purchase some sort of electronic gadget or appliance may be terrific, it’s not always in our budget or appropriate. However, a homemade gift from the heart is always special and won’t break the bank. 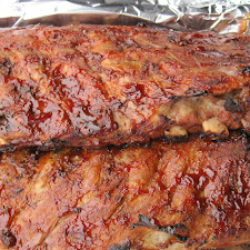 Below are some of my favorite homemade gifts to give for the holidays, that everyone can enjoy! 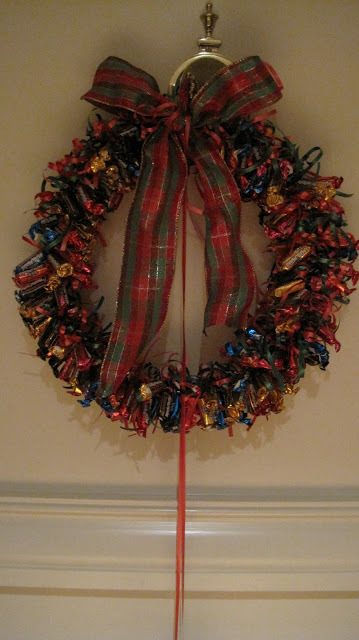 Homemade Candy Wreath – What could be more festive for the holidays? Your friends can display their candy wreath at home or at the office. Those that stop by can take the attached scissors to get a nice treat! Decorated Plates – If you’re like me you bake lots of treats to share with coworkers, friends, family, and those providing services to you. 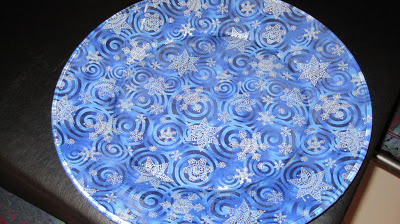 This year why not purchase some fabric and use Mod Podge to create a fun, festive plate to put your treats on prior to gifting? After your treats have been devoured your friends will have the plate to use time and time again. 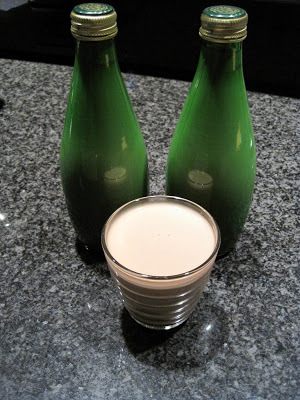 Homemade Irish Cream Whisky – A favorite of mine alone or in coffee. Make homemade Irish Cream Whisky that tastes better than the store bought brands. Attach the recipe so those you gift it to can make their own when they run out. 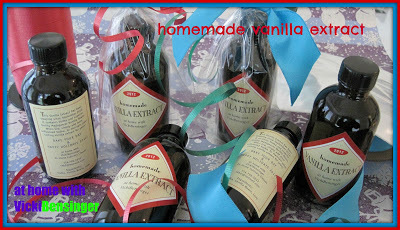 Homemade Vanilla Extract – Have you priced those bottles of Pure Vanilla Extract lately? If not, you’ll be shocked when you see the sticker. Nothing is better than the real thing, and now you can recreate it yourself for a fraction of the cost. 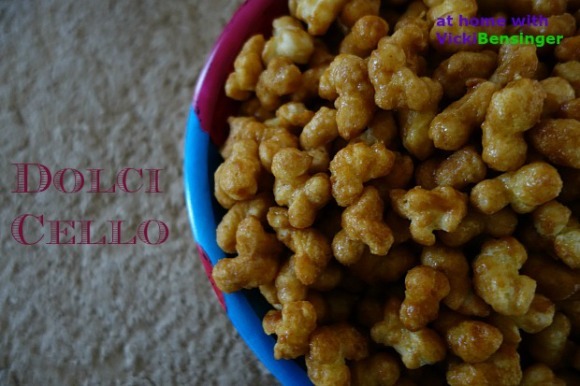 Check the recipe to see how easy this is to make, and how you can have fun with the packaging. 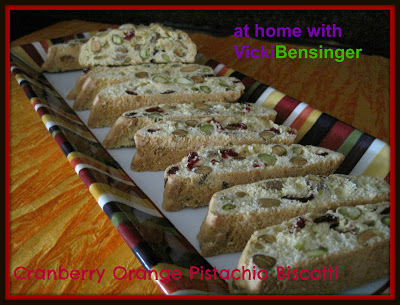 Cranberry Orange Pistachio Biscotti – Perfect for breakfast, with coffee, tea , or a midday snack. These low-fat biscotti are packed with flavor and begging to be gifted! 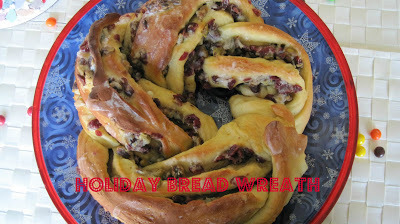 Holiday Bread Wreath – filled with goodies. Deliver on a Homemade Decorated Plate. 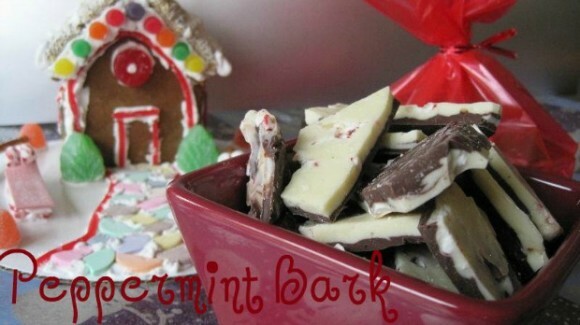 Peppermint Bark – What would the holidays be without it? 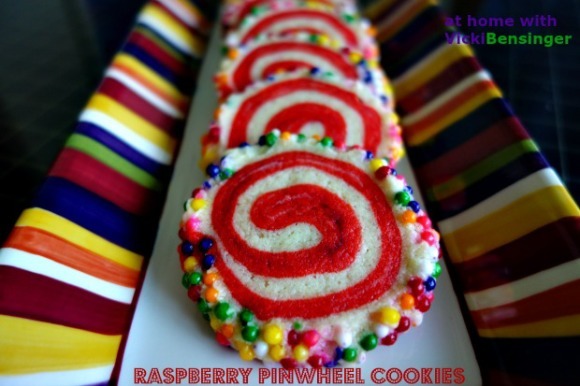 Raspberry Pinwheel Cookies – for the most Humbug of them all. The perfect gift to put a smile on someone’s face and in their tummy! 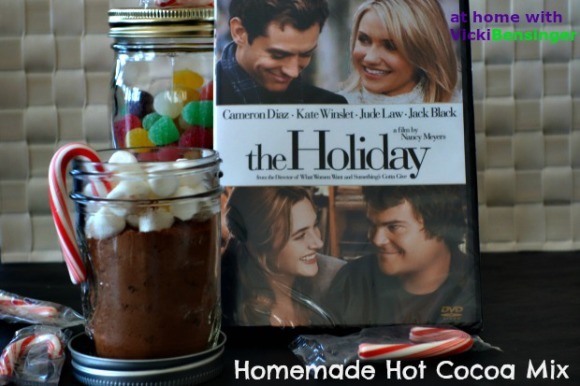 Homemade Hot Cocoa Mix – The weather outside may be frightful but gift this package and everyone will be snug as a bug in a rug with this Homemade Hot Cocoa and your favorite movie! Pomegranate Molasses – Taking the ordinary and making it extraordinary! 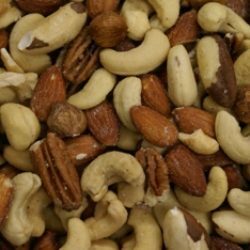 Gift a jar at a fraction of what it costs to purchase and make someone happy! 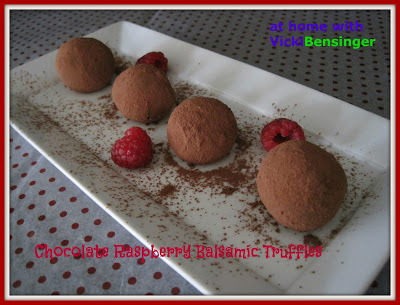 Chocolate Raspberry Balsamic Truffles – for the sophisticated individual on your list with discriminating taste. 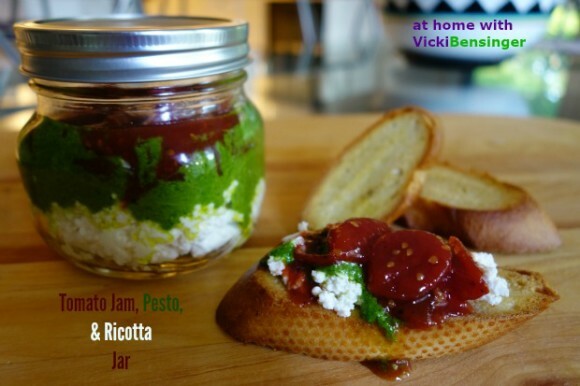 Tomato Jam, Pesto, & Ricotta Jar – a favorite on my list and soon to be on yours & those you gift it to! Dolci Cello – for the individual that’s always up for a party. Who can resist this? I hope you can find something on my favorites list – there’s something for everyone. While some of these treats may look daunting to recreate, they’re all quite simple. With 3 weeks left to the New Year you’ve got plenty now to keep you busy in the kitchen instead of spending the big bucks at the mall. Lots of great ideas, Vicki. Vanilla extract is my favourite! I know I love that too. In fact I make more than enough so I have plenty of it stashed away to use throughout the year. Fun ideas! Particularly like the idea of making & gifting pom molasses — such good stuff, and not all that easy to find in stores. Thanks John. I need to browse your site to get some drink ideas for the upcoming holidays. You’re always a great resource for that. 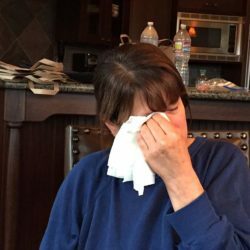 I give homemade gifts to my book club each year—and after 20+ years, I’m running out of ideas! 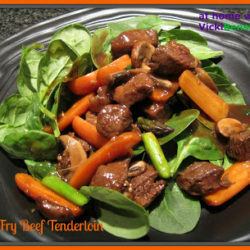 Thanks for all the great inspiration, Vicki! Anytime. I can’t imagine what we did all these years without the help of other bloggers to give us creative ideas to gift and create. Can I be on your Christmas list? There’s so much fun stuff here! You can be on mine if I can be on yours. I”ve seen all those tasty treats you’ve been preparing! 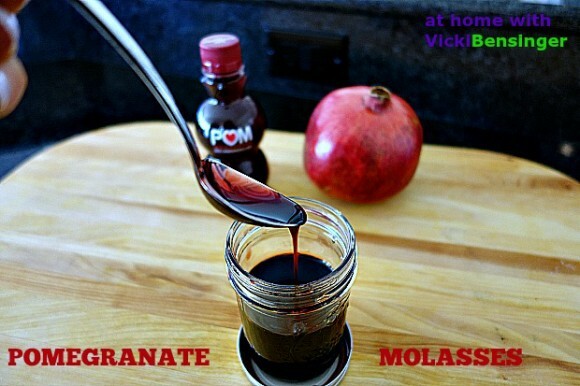 Pomegranate Molasses is an amazing idea! Thanks for sharing! You’re welcome. I love the stuff! I think it’s great on just about everything and the color is so festive! I want to get in the kitchen and start creating! Great post. Oh I’m sure you have plenty of great things you muster up to gift for the holidays!